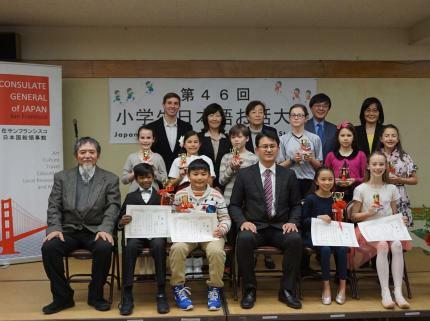 On Sunday, March 3rd, the Consulate General of Japan in San Francisco, the Japanese American Association of Northern California (Hokka Nichi Bei Kai), and the Northern California Japanese Teachers’ Association, co-organized the 47th Japanese Speech Contest for Elementary School Students at the Japanese Cultural & Community Center of Northern California. 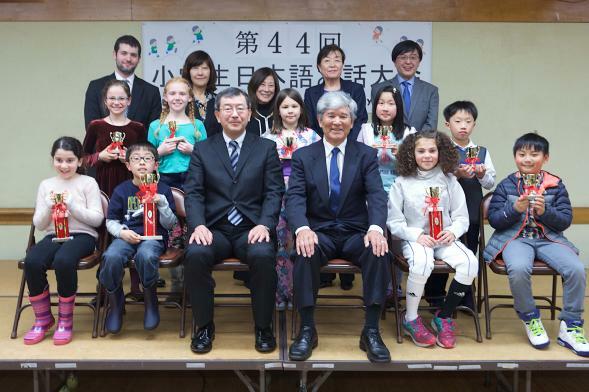 Thirty-three elementary school students participated in this year’s contest, and demonstrated their achievement of Japanese language studies and preparation for this contest. Approximately 150 audience members, including students’ family, friends, and teachers, also attended in support of the contestants. On Sunday, November 4, 2018, the Consulate General of Japan in San Francisco, the Northern California Japanese Teachers’ Association (NCJTA), and the Japanese American Association of Northern California (JAANC: Hokka Nichi Bei Kai) held the 45th Annual Japanese Speech Contest at the Japanese Cultural and Community Center of Northern California (JCCCNC) located in the heart of San Francisco’s historic Japantown. Organizing the fall speech contest at JCCCNC was for the first time in five years; however, because we have continued to use the JCCCNC site for the spring speech contest, everything went smoothly. The primary objective of this contest is to encourage the learning and use of the Japanese language in the San Francisco Bay Area community, particularly among non-native speakers of Japanese. Consisting of (1) the Middle and High School Student Division and (2) the College Student and Adult Division, the speech contest represents a fun and challenging way for students at all levels to demonstrate their language and communications skills. 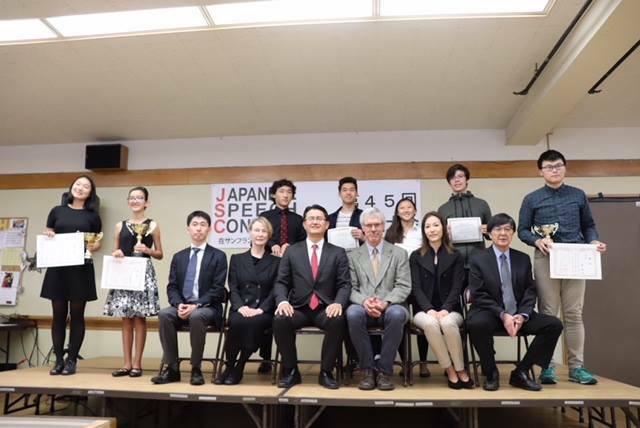 A total of twenty-five contestants –– 17 in the Middle and High School Student Division and 8 in the College Student and Adult Division –– participated in the speech contest and demonstrated their advanced Japanese speaking skills in various topics –– ranging from personal experiences and learning Japanese to the cultural differences between the United States and Japan – before an audience of family members, teachers, friends, and the general public. 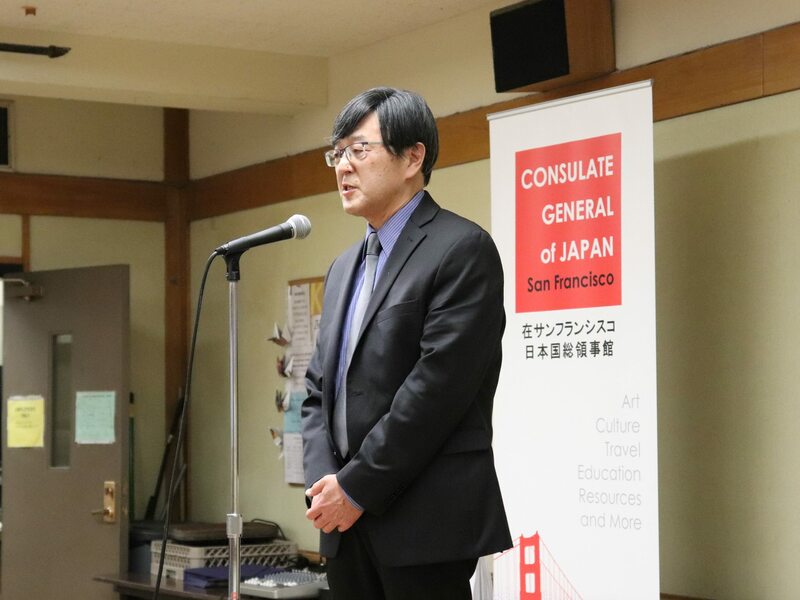 On Sunday, March 4, 2018, the Consulate General of Japan in San Francisco, the Northern California Japanese Teachers’ Association, and the Japanese American Association of Northern California (JAANC: Hokka Nichi Bei Kai) co-organized the 46th Annual Japanese Speech Contest for Elementary School Students at the Japanese Cultural and Community Center of Northern California (JCCCNC). The stormy weather that hit the San Francisco Bay Area in the middle of the week was luckily over, and as many as 40 students from 9 local elementary and Japanese language schools (American International Montessori School, Clarendon JBBP Elementary School, eLoha Japanese School, Kinmon Gakuen, Little Angeles Japanese School, Pine Japanese Language Afterschool, Rosa Parks JBBP Elementary School, Sakura Gakuen, San Mateo Nippon Gakuen) participated in the contest and demonstrated the results of their Japanese studies at this year’s competition. An audience of approximately 120 people, including family, friends, and Japanese teachers, came out and cheered on the contestants. The contestants had devoted a lot of hard work into their speeches, and enthusiastically spoke on a variety of topics, with the support of teachers and family members. We appreciate the work of the judges and the donations received from various firms and individuals. Thank you to the contestants, schools, judges, sponsors, and everyone else who helped make this year’s contest a great success. On Sunday, November 5, 2017, the Consulate General of Japan in San Francisco, the Northern California Japanese Teachers’ Association (NCJTA), and the Japanese American Association of Northern California (JAANC: Hokka Nichibei Kai) held the 44th Annual Japanese Speech Contest at the New People Cinema located in the heart of San Francisco’s historic Japantown. The primary objective of this contest is to encourage the learning and use of the Japanese language in the San Francisco Bay Area community, particularly among non-native speakers of Japanese. Consisting of (1) the Middle and High School Student Division and (2) the College Student and Adult Division, the speech contest represents a fun and challenging way for students at all levels to demonstrate their language and communications skills. A total of 33 contestants –– 19 in the Middle and High School Student Division and 14 in the College Student and Adult Division –– participated in the speech contest and demonstrated their advanced Japanese speaking skills in various topics –– ranging from personal experiences and learning Japanese to the cultural differences between the United States and Japan –– before a panel of judges and an encouraging audience of friends, families, teachers, and fellow students. The contestants shared their stories in their own words, and we learned about their experiences with Japan and the Japanese language, and found out what motivated them. The Middle and High School Student Division contest was further divided into two groups, Category 1 for Japanese not spoken at home, and Category 2 for Japanese spoken at home. The Category 1 winner was Ms. Jumi Yoon (Mission San Jose High School: “The Meaning of Dieting”), the first runner-up was Ms. Nishchala Beeram (Monta Vista High School: “Why I’m Learning Japanese Now”), and the second runner-up was Ms. Eileen Ha (Palo Alto High School: “The Warmth of Family”). The Category 2 winner was Mr. Sota Hayashi (Sakura Gakuen: “My Passion for Nike”), the first runner-up was Ms. Lisa Yokemura (San Mateo Nippon Gakuyen: “Human Weakness”), and the second runner-up was Mr. Kai David Steiner (San Mateo Nippon Gakuyen: “My Father and Cat”). The winners from each category of the Middle and High School Division received a special prize from CAPCOM USA, Inc, one of the contest sponsors. The winner of the College Student and Adult Division was Ms. Tangut Degfay (Middlebury Institute of International Studies: “Japan Through the Eyes and the Heart”), the first runner-up was Mr. Roger Luo (University of California, Berkeley: “What Japan Has Given Me”), and the second runner-up was Ms. Ellen Zhong (Middlebury Institute of International Studies: “Why I Could Not Say ‘I like Japan’”). The first-place winner for the College and Adult Division of this year’s contest received a round trip flight ticket to Japan from United Airlines, another contest sponsor. On Sunday, October 23, 2016, the Consulate General of Japan in San Francisco, the Northern California Japanese Teachers’ Association (NCJTA), and the Japanese American Association of Northern California (JAANC: Hokka Nichibei Kai) held the 43rd Annual Japanese Speech Contest at the New People Cinema located in the heart of San Francisco’s historic Japantown. 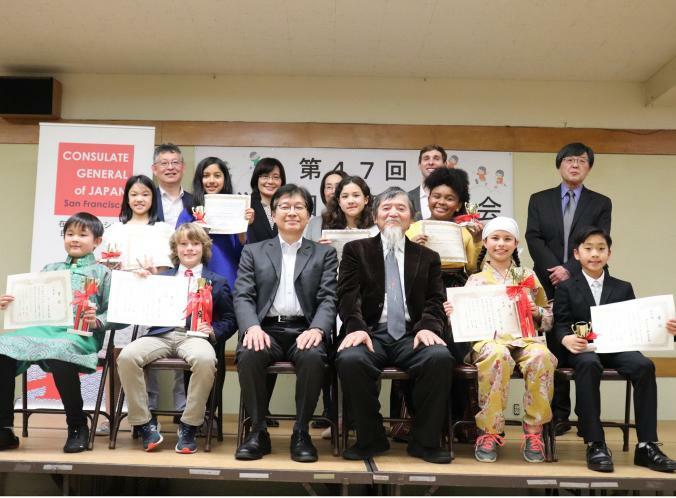 A total of twenty-five contestants –– 15 in the Middle and High School Student Division and 10 in the College Student and Adult Division –– participated in the speech contest and demonstrated their advanced Japanese speaking skills in various topics –– ranging from personal experiences and learning Japanese to the cultural differences between the United States and Japan – before an audience of family members, teachers, friends, and the general public. The Middle and High School Student Division contest was further divided into two groups, Category 1 for Japanese not spoken at home, and Category 2 for Japanese spoken at home. The Category 1 winner was Ms. Ting Ting Huang (“Bonds”), the first runner-up was Ms. Sabrina Stone (“Beautiful Japanese”), and the second runner-up was Ms. Kelly Wang (“Asia and America”). The Category 2 winner was Mr. Owen Kawano Spargo (“I have a concern”), the first runner-up was Mr. Daigo Frank (“Mindfulness”), and the second runner-up was Mr. Allen Luo (“My Grandfather’s Wallet”). The winner of the College Student and Adult Division was Ms. Sophia Seohyun Jung (“Exploring ‘Wa’ and ‘Magokoro’”), the first runner-up was Mr. Rojie Calabiao (“Fear is not a bad thing”), and the second runner-up was Mr. Eiden Anwei Yu (“The Never-Ending Flow of Time”). The first place winner for the College and Adult Division of this year’s contest received a round trip economy class between San Francisco and Tokyo from United Airlines. On September 13, 2016 Professor Nobuaki Minematsu, who received a doctor of engineering in 1995 from the University of Tokyo, gave a workshop on Online Japanese Accent Dictionary (OJAD). Currently, Dr. Minematsu is a professor at the University of Tokyo as well, and he has a wide range of interest in speech communication covering from science to engineering. Dr. Minematsu has published more than 400 scientific and technical papers, including conference papers, which focus on speech analysis, speech perception, speech disorder, speech recognition, speech synthesis, dialogue system, language learning systems, etc. 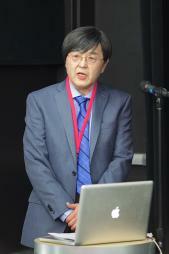 Dr. Minematsu received paper awards from various organizations, and gave tutorial talks on computer-assisted language learning or CALL as well. Are you confident in teaching Japanese accents and intonation to your students? Even native speakers of Japanese sometimes wonder which accent is correct for a certain word. 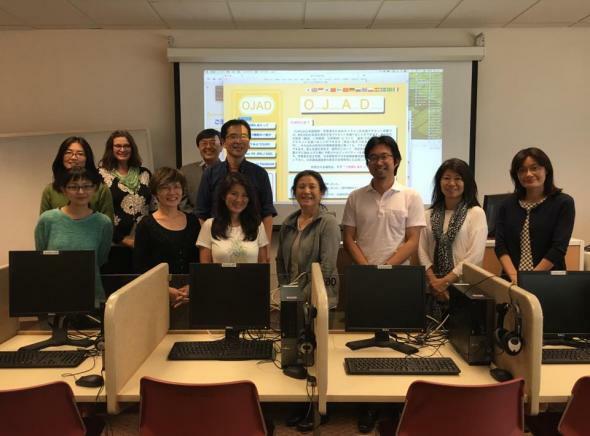 The workshop for Online Japanese Accent Dictionary (OJAD http://www.gavo.t.u-tokyo.ac.jp/ojad/) and its tutorial was held at San Francisco State University last week. ... Personally, we would like to thank Minematsu-sensei at Tokyo University for holding this wonderful workshop and Minami-sensei at San Francisco State University for organizing this workshop in Northern California last week. 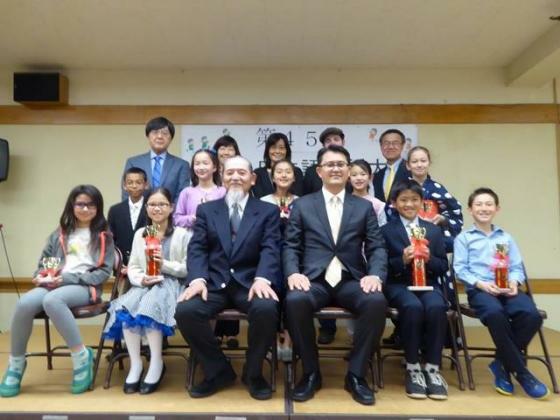 On March 13, 2016, the Consulate General of Japan in San Francisco and the Japanese American Association of Northern California (JAANC: Hokka Nichibei Kai) held the 44th Annual Japanese Speech Contest for Elementary School Students at the Japanese Cultural and Community Center of Northern California (JCCCNC). Despite the stormy weather that hit the San Francisco Bay Area over the weekend, as many as 39 students participated in the contest, and they enthusiastically spoke on a variety of topics, with the support of teachers and family members. See the Japanese section above for the winners. We appreciate the work of the judges and the donations received from various firms and individuals. On Sunday, November 2, 2014, the 41th annual Japanese Speech Contest was held at the Japanese Cultural and Community Center of Northern California (JCCCNC) in San Francisco, co-sponsored by Hokka Nichibei Kai and Consulate General of Japan in San Francisco. There were 24 speakers, 18 in the Middle/High School Division and 6 in the College/Adult Division, and they demonstrated their Japanese speaking skills with various topics before the audience of family members, teachers, friends, and the general public.